Turning Vision Into Action: Reflecting at Thanksgiving: In Search of Quadrant II! Reflecting at Thanksgiving: In Search of Quadrant II! 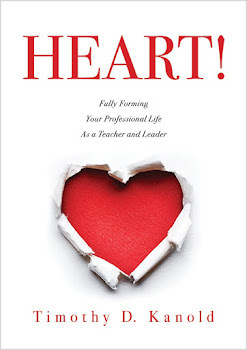 As we approach Thanksgiving, readers of this blog know about my pushing and prodding to discipline yourself to strategically disengage from the hectic school life of Quadrant I energy (the high positive energy of your work and life) in order to engage in meaningful Quadrant II energy — the positive emotional, low physical energy— necessary for meaningful reflection. This “down time” allows you to regather, recoup, renew, and refresh. 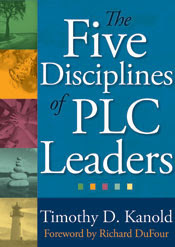 For more details see Chapter 4 of the Five Disciplines of a PLC Leader book. How much Quadrant II reflective time needed this Thanksgiving is dependent on each individual. The answer lies not so much in eliminating external disorder of family and holidays and shopping and decorations, but in seeking out the reflective Quadrant II time that will help you to face the internal disorder of your life. It lies in taking the time to determine the few things your do really, really well—and to do them at a deep and meaningful level - with your family, your work, your hobbies, your friends, your faith and your life. And, you must find out what works for you as part of your Quadrant II reflective time. I like to journal to collect my thoughts. I also like to run - as a way to center my thoughts and calm down the constant pressure and pace of my life. Yet, I recognize that Quadrant II time is an experience unique to each of us. For you, Quadrant II reflection time might require a different format. You might take walks, listen to music, make lists, do yoga, sit by a window with your favorite view, share time with a friend or go for a quiet walk. You might prefer to reflect early each morning, or late at night, or maybe at lunchtime every day. The important point is that you give yourself the gift of slowing down the pace of your day, to recover the energy you need to do your life's work and serve its purpose. Somehow, the Thanksgiving season (as it is aptly named) also drives me to pay attention to others a bit more. To be thankful for those that take the time to support the purpose and effort of my life - My family and my friends. Yet, I tend to notice them more deeply when the pettiness of the daily noise submerges below the slowing down of my mind and thoughts during the quiet and required reflection time of Quadrant II. My reflections during this time seem different now as I grow older and reflect on my personal and professional life in review. Reflection at Thanksgiving time will do that for you. I think about how many people have there been in my life, who have taken the time to share their life with me? How many have released part of themselves so that I might grow, accomplish my goals, find wholeness and satisfaction? Some of them will be with us this Thanksgiving and some won't. There just seems to be so so many to thank - to remember. There are a lot of names - it is very humbling and filled with emotion. Sad, happy, anger, joy, scared and tender all surface, as I think about them and the way they have journeyed through the path of my life. And I just don't thank them and celebrate who they are, often enough. Maybe because I am too busy to notice them, maybe because I take them for granted, maybe because life has a pace and speed that is just so fast, maybe because I am too selfish at times, maybe because I fail to take the time to slow down and reflect and show my thanks. Who are these people in your life? Let them know how you feel. Let them know you are grateful for all they have given to you. Thanks giving. It is important. And, as you reflect this Thanksgiving, be aware that our profession is all about being there for others. It is about the notion of service and sharing and giving yourself to others. It is all about encouragement, tough love, and caring for others. And that is a good thing, but it is also exhausting. It is part of what makes great teachers and leaders great. It is also what will burn you out, if you are not careful. Which is even more reason to give yourself the gift of slowing down, and enjoying some peace, quiet and reflective Quadrant II time during these holidays. The "where when, how and what" of Quadrant II low energy time is up to you... just don't get so busy this holiday you forget to do it!